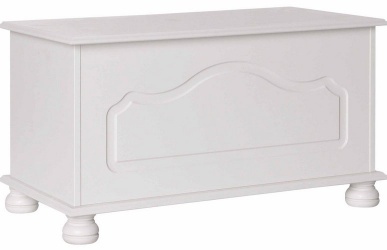 An attractive piece that adds style and storage to any room of your home. Beautiful butterfly and flower pattern in gold leaf on a striking blue finish is complimented by the antiqued metal handles on the side and front catch. 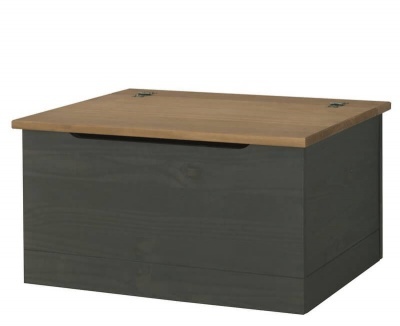 The lift up lid has a soft close damper fitted for safety. 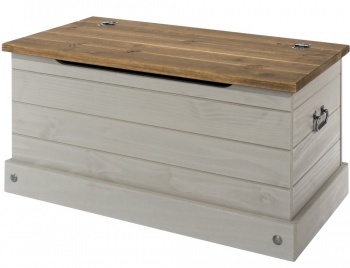 Solidly constructed from poplar wood and plywood to a high build quality. The internal dimensions of the trunk are H47 W42 D42 cm. For added peace of mind the Nine Schools range has a five year manufacturers warranty against manufacture issues. Delivered fully assembled. Ready for you to unpack and enjoy. Part of the Nine Schools furniture range.